Students are always on a budget and all we seem to do is count the pennies. Sacrificing one thing for another, month after month just to get by until the next loan comes in. Now, me and my friends have made a cheaper option. Cheap student food which we all love but we all go round someone’s house and cook together. That way it means you all get to eat together and socialise but on a budget. We did this for pancake day too. This month we decided to have an ‘Eggy Bread Night.’ For those of you readers who have never had eggy bread and don’t have a clue what I’m on about then you’re in for a treat! 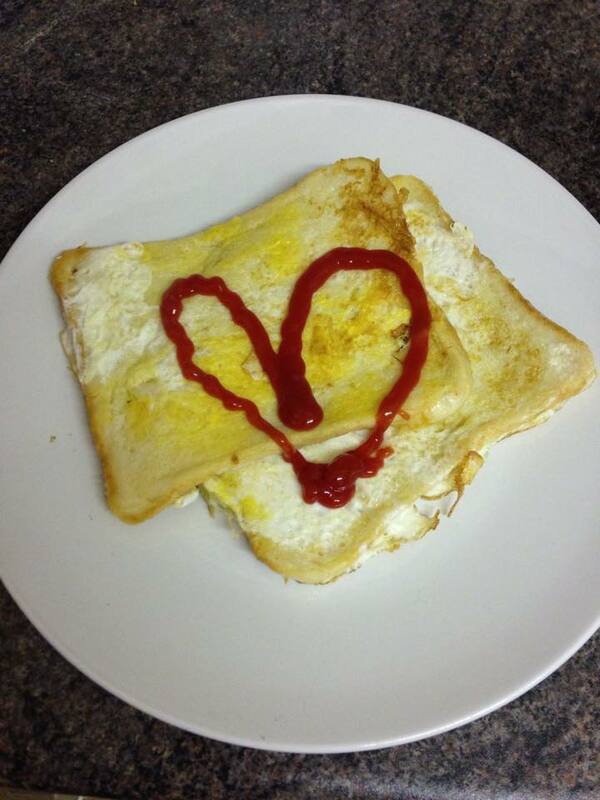 Overall: £2.13 (Asda prices) which will be about 3 slices of eggy bread for you! The amount of eggs and bread is down to you really, if you love egg use more in the mixture and if not, use less. If you’re hungry, use more bread, but if you’re just having lunch then you may only want one or two! Crack the eggs into a bowl or large dish, as long as a slice of bread can lie flat in it! Mix together the eggs and dash of milk with a fork making sure it’s all mixed in together. Don’t mix it too much otherwise you’ll have scrambled egg or a bad looking meringue consistency. Soak a slice of bread in the mixture making sure both sides are covered in the egg mixture. In a frying pan warm up a little bit of cooking oil, then add the bread soaked in egg into the pan. Fry on both sides, making sure the egg is cooked, before serving. And there you have eggy bread. A heart attack on a plate but so yummy. You can add bacon and cheese to the top of your eggy bread if you’re feeling adventurous, I just like mine with a bit of ketchup! Cheap, cheerful and a great night with my girls!